Kundalini Yoga is a results-driven practice that maintains a deep yogic heritage. Most refreshingly, these practices are accessible to anyone at any experience or fitness level - no hours of practice, matching spandex, or bendy backs needed. 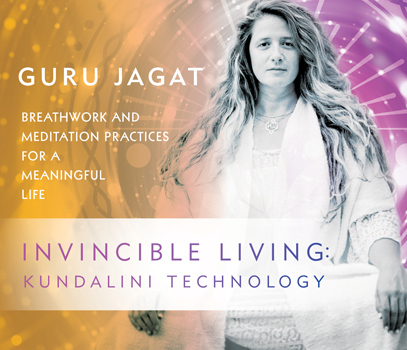 In Invincible Living:Kundalini Technology, leading global Kundalini teacher Guru Jagat presents a series of simple yet life-changing techniques. Candid, wise, and encouraging, Jagat is dedicated to helping others discover happier, healthier, and more meaningful lives. Join her to transform your experience of living with the high-velocity practices of Kundalini Yoga.